Join me for some night-survival action at 9pm EST! Feel free to com­ment on this post directly or head off to my Twitch Page to chat with me as I play! 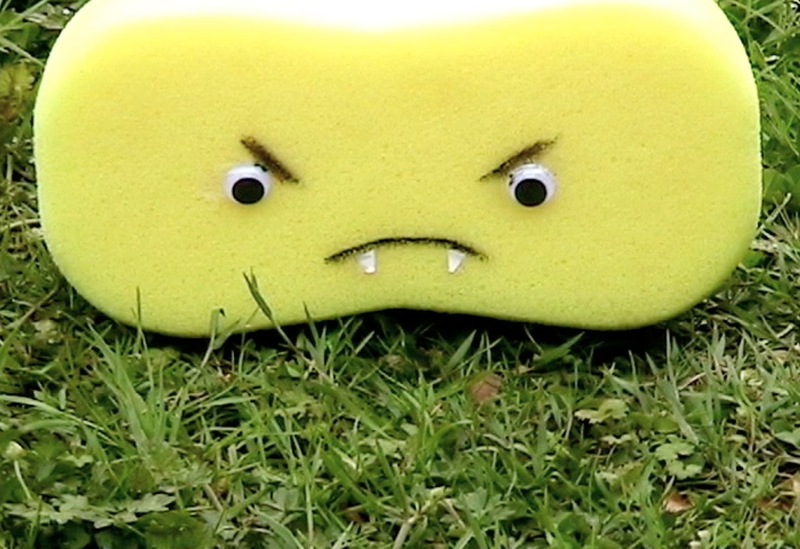 Vir­tual real­ity is still a brand new addi­tion to my home and thus nearly any­thing feels pretty novel. 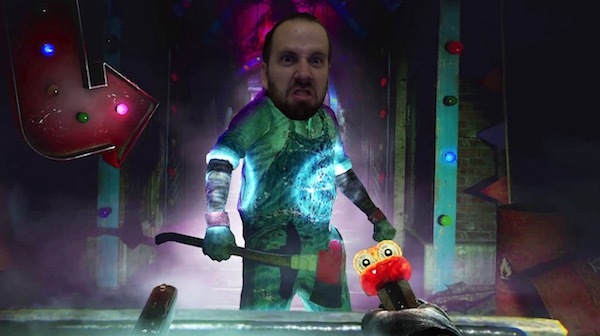 Bar­rel­ing down the lanes of Thumper and rid­ing the ter­ror roller­coaster of Until Dawn: Rush of Blood are things that just can’t hap­pen in the real world. 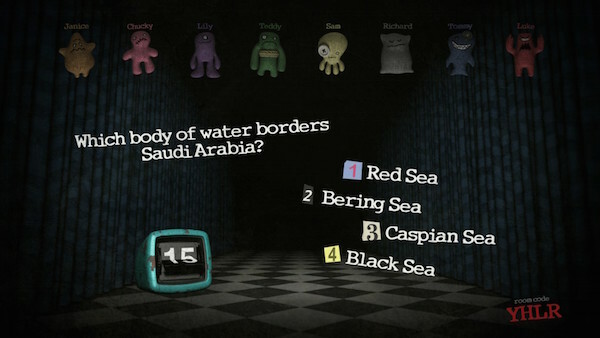 What about things that can exist in the real world then? 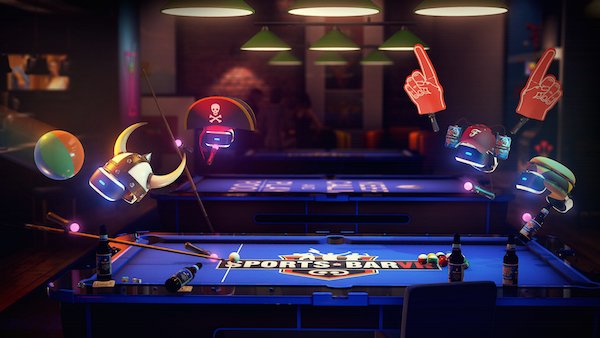 Tack­ling this sub­ject, Sports Bar VR sticks you into a vir­tual drink­ing hole filled with the stan­dard fare of games you might find in one of those loca­tions. There isn’t a ton there, but the charm of Sports Bar VR is found in a slightly dif­fer­ent kind of interaction. Thank­fully, I’ve never taken drugs or had any kind of psy­che­delic trip that’s gone ter­ri­bly wrong. 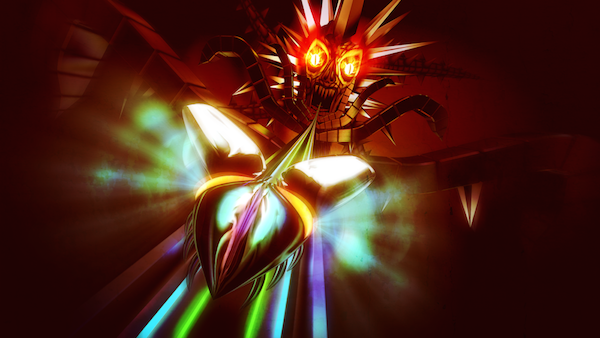 From how it has been depicted in movies, I can’t imag­ine you could get much closer than, what is prob­a­bly my favorite PSVR launch title, Thumper. A game that is aptly described as “rhythm vio­lence” has you bar­rel­ing down a path as a scarab bee­tle mak­ing sharp turns and bust­ing through bar­ri­ers in a world that is made all the more ter­ri­fy­ing when you strap a VR head­set around your face. In an inter­est­ing twist, Thumper does not require VR to play, yet from my expe­ri­ence immers­ing your­self in the visu­als via PSVR gives you a mas­sive advan­tage towards nail­ing though cues. Local mul­ti­player is not some­thing I would have thought to be talk­ing about in rela­tion to VR. When the pri­mary player is strap­ping a head­set onto them­selves and div­ing into a vir­tual world, it’s dif­fi­cult to imag­ine oth­ers being able to play along. Thanks to the social screen and The Play­room VR, this con­cept has been thor­oughly explored and it turns out to be a lot of fun. 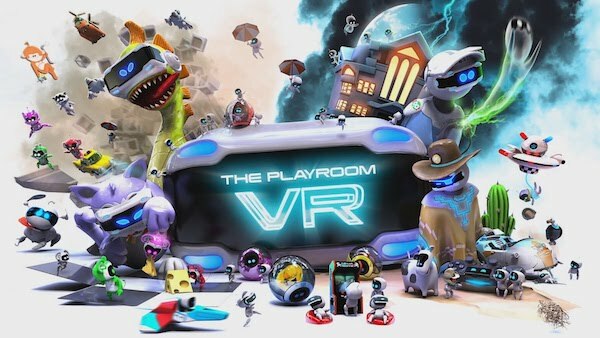 The Play­room VR, devel­oped by the same folks who made the similarly-titled launch game for PS4, is a free col­lec­tion of games that fea­ture fun and clever asym­met­ric mul­ti­player. Rang­ing from a haunted house to a shootout in a saloon, there’s plenty of vari­ety and fun times to be had here. Let’s face it, we’ve all wanted to step into the badass boots of the Dark Knight at some point. 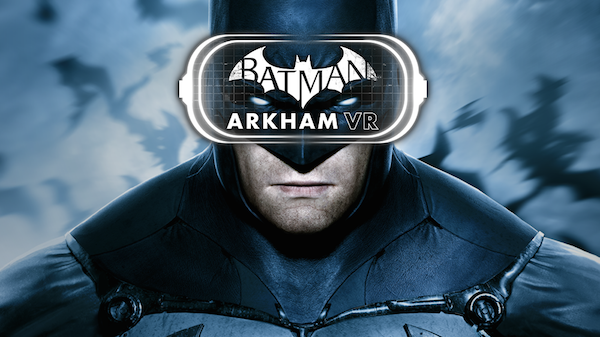 Vir­tual real­ity can finally make this pos­si­ble with Bat­man: Arkham VR. Rock­steady, mak­ers of the best Bat­man games out there, have crafted a short but sweet expe­ri­ence that throws you into the series and focuses on the crime-solving aspects of the series. The expe­ri­ence doesn’t last quite long enough to be be some­thing you’ll come back to fre­quently, but what is there has been pol­ished to a high shine and it will cer­tainly be one of the first things I’ll use to show off the tech­nol­ogy to my fam­ily and friends. 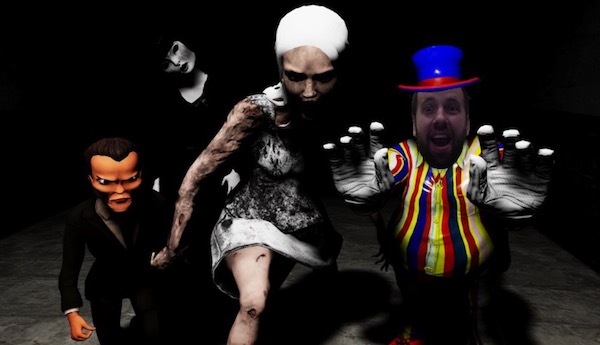 Join me for some clown-shooting action at 7pm EST! Feel free to com­ment on this post directly or head off to my Twitch Page to chat with me as I play! 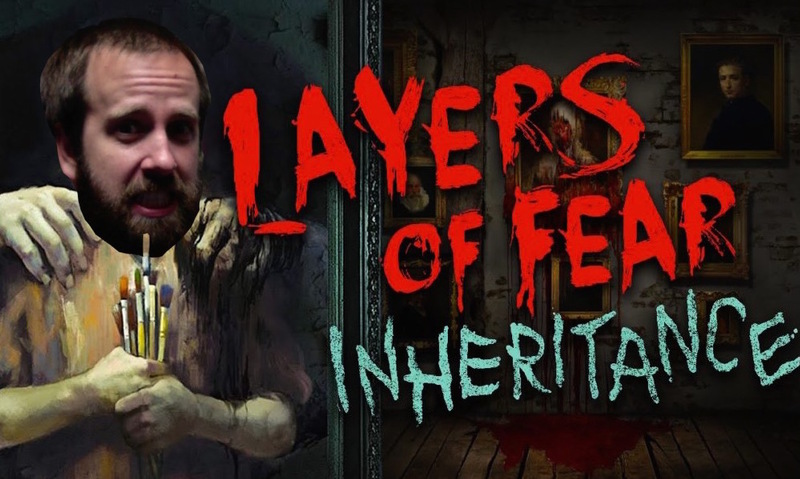 Join me for some scary-painting action at 9pm EST! Feel free to com­ment on this post directly or head off to my Twitch Page to chat with me as I play! 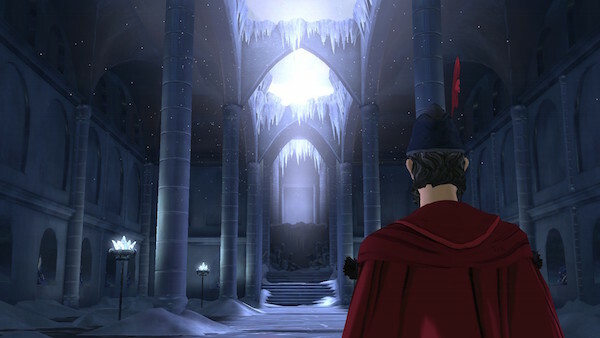 Con­tin­u­ing along its streak as the best episodic adven­ture game going on now, King’s Quest has a stel­lar addi­tion with Snow Place Like Home which is the fourth episode in the sea­son. After a rel­a­tively light third episode, Snow Place Like Home tugs at your heart strings right from the start and doesn’t let up through­out. The stel­lar vari­a­tion of the series also holds up in this lat­est episode offer­ing yet another spin on how the game is played. 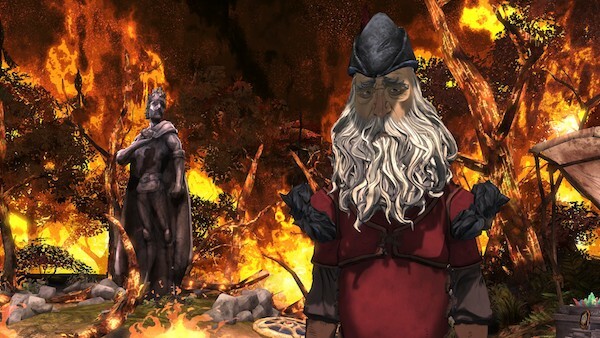 If you’ve enjoyed King’s Quest thus far, there is a lot to appre­ci­ate in Snow Place Like Home and it left me ready for the final chap­ter to come.